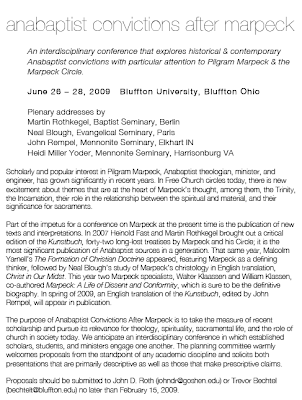 The board of a new conference on Pilgram Marpeck sent me a personal invitation to submit a paper at their conference. Considering the quality of the organizers and the participants, this is a real honor. See the following announcement.